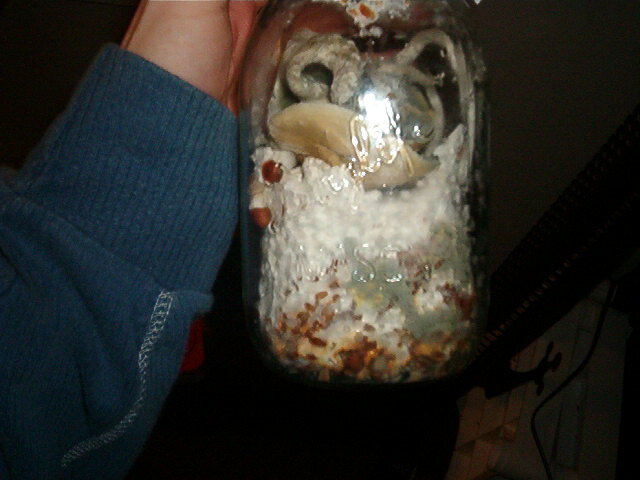 Is it a insanley bad idea to mix 2 differnt strains of spores into 1 jar for inoculating? ... I have some tasmanians, and b+.... and Mixed just one of my jars with half a side of b+/half tasmanians.... but im just curious to see what will happen with it?..... ANY ideas, or what? Im clueless to whether or not it will be bad or not. www.albinorasta.com - SICK new clothing line! Well, it won't be good, per se. If both strains start colonizing your substrate, you're most likely going to have buffer areas where two strains meet and they'll both stop growing. Not a major problem, but one that can be easily avoided next time. In the end, my friend, we will all be together again. alright, yeah - I can see what you mean.... I just wasnt sure if that when they cake something crazy might happen and they'll blend and create a differnt type of mycellium/strain or something weird- haha. But, if 2 strains do come in contact with eachother will they really pretty much stop growing?... or is that just a guess on a scenario your saying? No, that's not a guess. But it doesn't happen every single time, either. You'll most likely have patches of substrate that aren't fully colonized because of the competing types of mycelium...this occurs naturally though (as in rhizomorphic compared to fluffy mycelium), so it's not much of a problem. And no, you wouldn't end up with a new strain that way. ok...yeah, figured so... .I also used about 1cc of spores in each hole of my 1/2 pint jars, and it was recomended to use 1/2cc in each hole....... 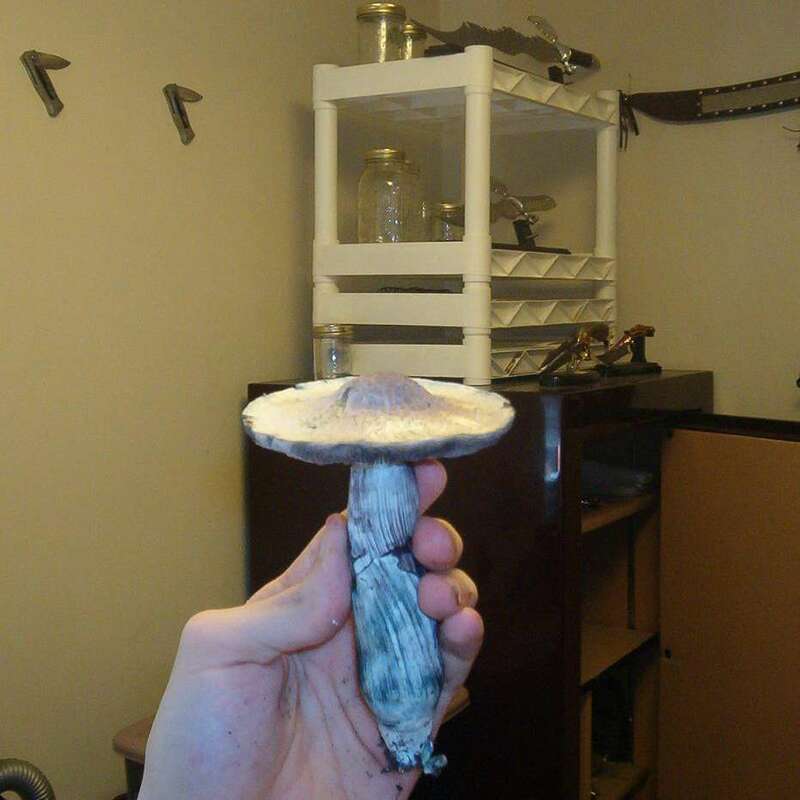 I just did it because I didnt want to have a ton of extra spores in my syringes, and have them go to waste.... will that help make more mycellium with more spores?.... I put the needle in the jar, and moved it around a little bit and put a tiny bit of spores in differnt areas, and did that in both holes.... SO, it does have more spores than recomeneded as well.... good/bad? 1cc split four ways into one jar is about perfect. Putting 4cc split four ways would change the water content... slightly. It will probably grow just wonderful anyway. The syringe will deposit many many spores even with very small amounts, the real factor I think is water content. If you put a whole syringe in one jar it would probably be too wet. Im pretty sure that you are wrong. The stronger of the two will dominate the culture. my first thought would be that the stronger strain may dominate... but im cluess, so dont know...might be the case though...? also, Another dumb questions........... All my jars are in the same box right now incoluating... there is 1 of them that I didnt mark with a pen to distinguise that it is a tasmanian, and not b+..... do you think I will be able to tell the differnces in looking at the cakes/color or whatever when they are done? Yeah you could research the photos here and make an educated guess as to which is which. I love waching the micro bio wars, i let them grow too, untill i need the jar. Do mycellium of differnt strains look differnt?- or are they all just white and the same looking?... I need to try to distinguise the differnce between my b+ and tasmanian so I wont mix the 2 in a tray when it comes time. You distinguish the two by writing what strain it is on the top of it. You cant tell the difference once you mix them all up. I also mean, once you mix the jars together...if you didnt label them when you inoculated them and put them all mixed together in the incubator, there is no way to distinguish them really. No your not, just do many one quart casings. Or whatever just dont mix the unknown jar with anything else. Unless Anno gets back to us on my plasmogamy question, there could be expiriments needed. i tried to mix 2 diff strains about 6 months ago in a casing. Really had a significant drop in yields. Was just a test before I found this website. Would not recommend. Thats not the point though, Id like to know if two different strains of the same species will fuse together at the hyphal point or whatever anno said in my plasmogamy thread. 3,191 topic views. 24 members, 138 guests and 15 web crawlers are browsing this forum. Generated in 0.041 seconds spending 0.008 seconds on 21 queries.